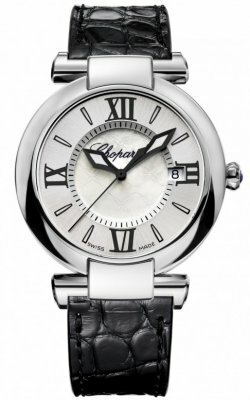 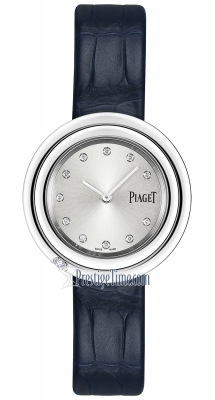 Stainless steel brushed finished case with high polished finished bezel & beveled edges. 4 diamond hour markers set in gold. 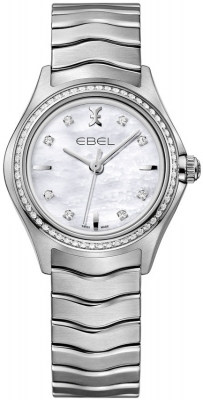 Gold hour and minute hands with luminous fill. 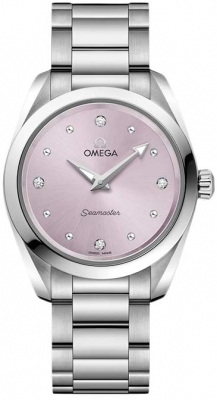 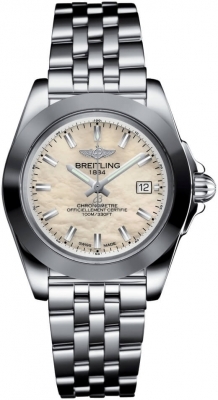 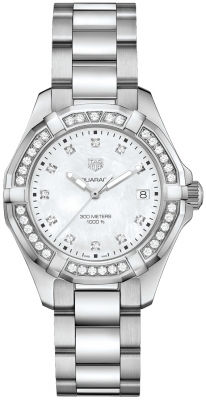 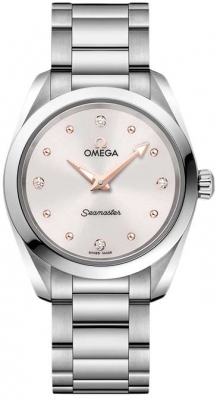 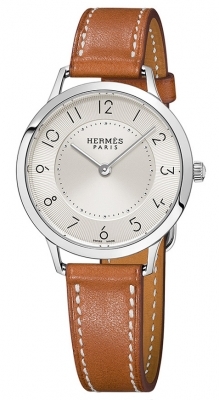 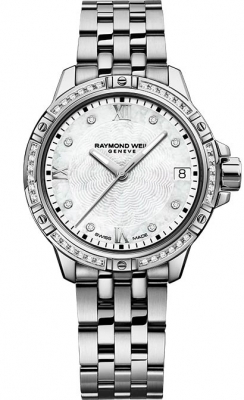 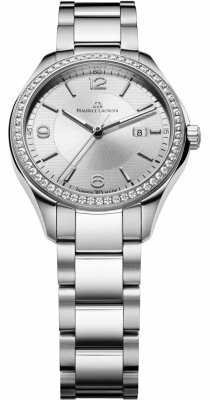 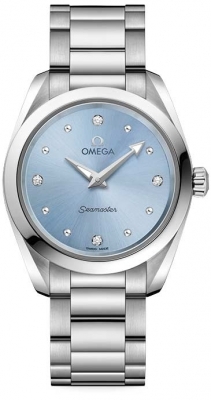 Features Omega caliber 4061 Quartz movement.